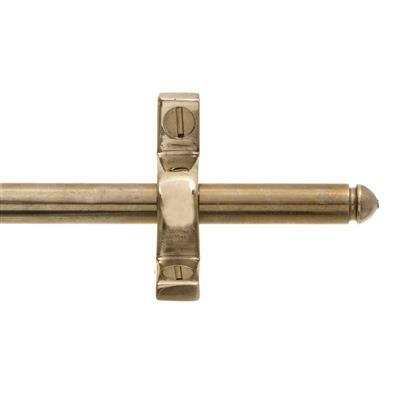 Solid brass stair rods with elegantly turned ends, made to measure in our Suffolk workshop. The rods are supplied in natural brass to which we apply a mild antiquing solution, to speed up the natural tarnishing process. 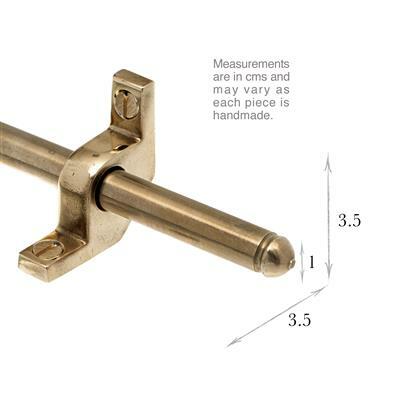 The prices are for one stair rod with two fixing brackets and are made to measure. Please allow enough space at either side of your runner for the bracket (1cm) and the end (0.5cm). 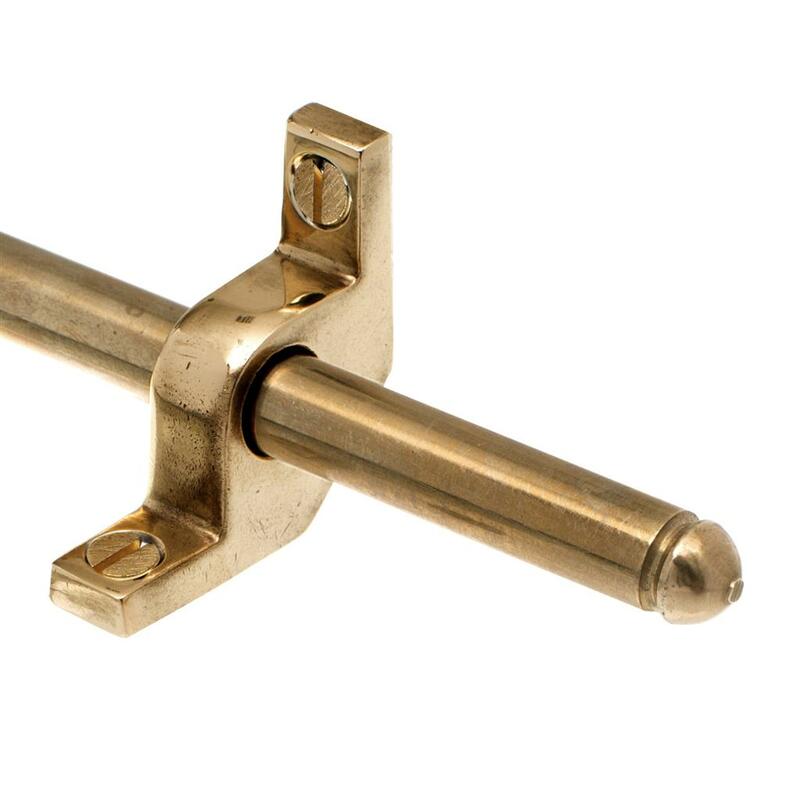 If your stair carpet or underlay are particularly thick you may need a spacer.